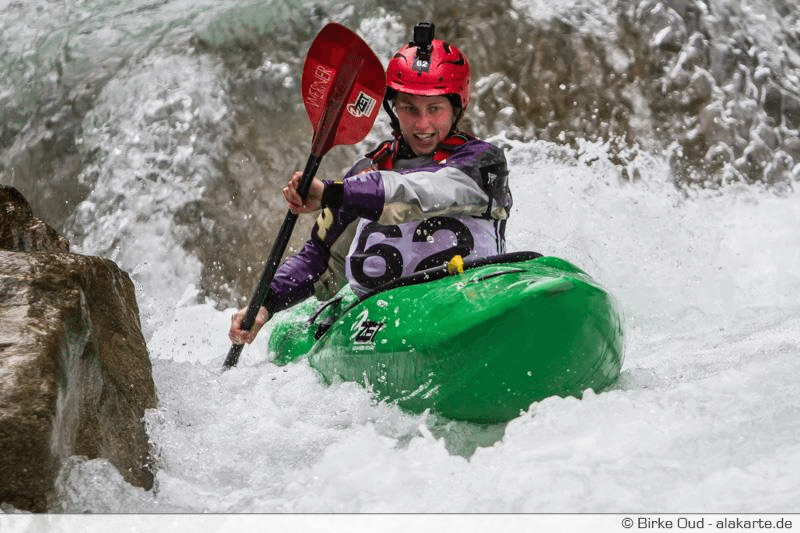 SPEED DEMON ~ Whitewater World Champion Sandra Hyslop | DBP MAGAZINE ONLINE The World's Best Free Whitewater Publication. EDITOR’S DESK: This month on the cover of our Magazine we’ve featured four fantastic Women of Whitewater, or #WOW! from four different forms of paddling. Our ultimate goal is to inspire young girls and women to try paddling, to rise up and tackle what they may think isn’t possible, to reach out to the local communities where our featured athletes live to see what’s right there that they may not be taking advantage of, to open the door to a new sport if they (girl or boy!) 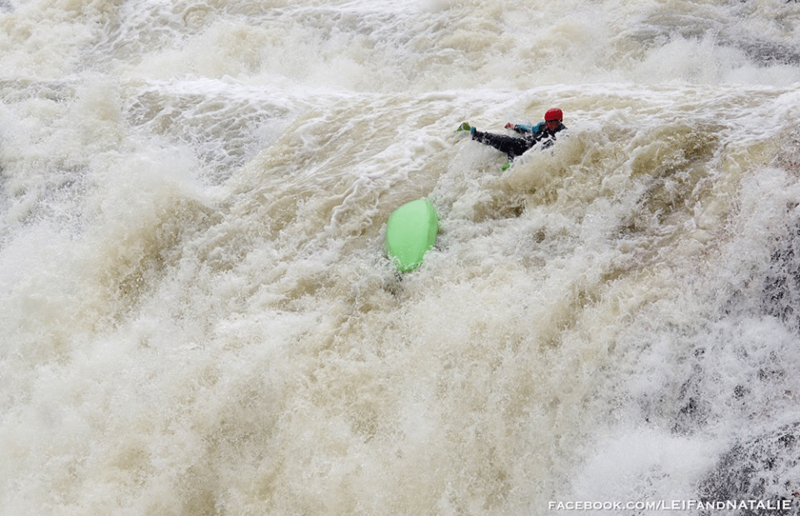 haven’t tried a particular discipline of whitewater, and to be a positive role model in a bro-driven ego-laden market. And of course, to highlight these awesome ladies!! Up next we have Sandra Hyslop, the current Sickline womens champion and all round speed demon, currently adventuring in New Zealand. After starting at Durham University in 2008 studying Natural Sciences I started to get back to paddling rivers and bought my first creek boat. Trips in the University holidays to the Alps, Norway, Uganda and Venezuela slowly started to convert me back to a river paddler rather than just a racer and I started pushing myself on harder whitewater and improving accordingly. After studying a PGCE (teaching qualification) again at Durham I was lucky enough to get a job at World Class Academy www.worldclassacademy.com which put an end to training and racing and really kick-started the travelling, kayaking lifestyle I still lead today. Working for the school improved my personal paddling no end but also helped me develop as a coach and whitewater river leader. I am currently spending a working holiday year in New Zealand trying to make a decision about where to go and what to do next. 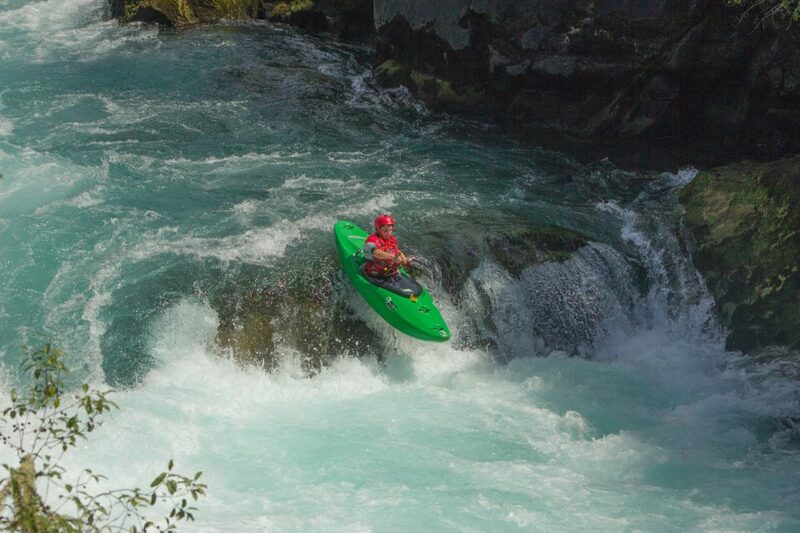 Currently based in Okere Falls I am keeping my skills and fitness up to scratch on the Kaituna whilst working to save some money to hit up the famous West Coast of the South Island. New Zealand has been a great location to diversify my activities a bit more and I have been falling off lots on my newly purchased mountain bike and been making trips to the coast to try improve my balance and grace on a surfboard. Paddling goals for the near future include staying fit and fast in a creekboat, hitting up some heli runs and multi-days down in the South Island, and maybe saving enough money for a trip to Western Canada in the summer. Although I’m terrible at updating it, it is possible to stay up to date(ish) with some of my travels and adventures on my blog at www.ilikekayaking.com. DBP: A lot of our readers will know you from your win at Sickline 2016. After the unfortunate incident with your skirt the previous year, how was it to come back and take the win? SANDRA: I was pretty frustrated after the 2015 Sickline as I never managed to get good lines on the finals day after the water level rose. It felt really good to have consistently good lines in 2016, and this allowed me to take the win. That said the water level was pretty low this year, so I still have to go back and nail the course at higher levels again! You have a very strong background in Wildwater racing, including winning the Junior world chamionships back in 2007. What kind of advantages and skills does that background bring in the ever more popular discipline of creek racing? SANDRA: Wildwater racing is a great discipline to compliment any other kayaking. You develop strength, speed and good forward paddling technique which helps with power on the water and also, I believe, with injury prevention. 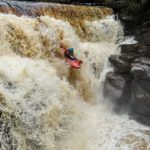 I think it’s very important, particularly for women who generally have less natural strength than men, to cross-train for whitewater kayaking through different sports and even weight training. 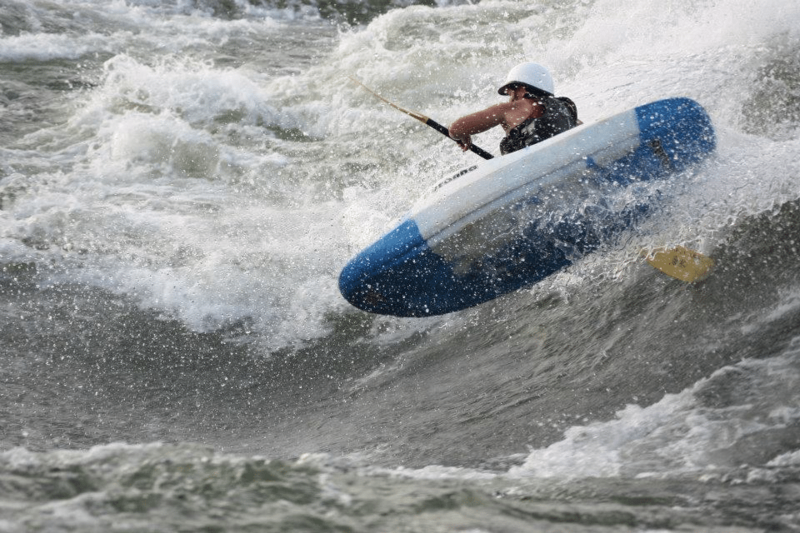 The competitive disciplines such as wildwater racing, sprint/marathon, polo, slalom and freestyle offer great physical conditioning and will improve paddling technique which is all transferable to whitewater paddling. 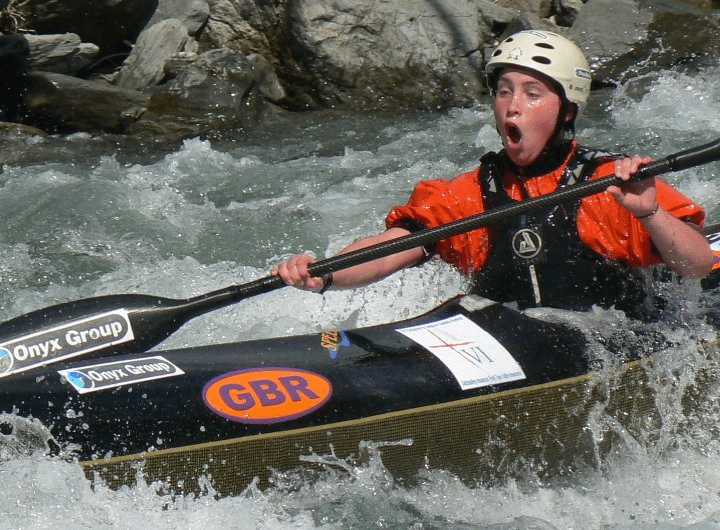 DBP: On the theme of racing, which is your favourite international river race or paddling festival, and why? SANDRA: It’s definitely hard to pick a favourite as there are such great things about so many different events. I love the buzz of competing at world championships and catching up with international friends in one place, however my favourite festival has to be the Ekstremsport Veko week in Voss, Norway. It’s such a great event showcasing so many different sports in a stunning location, you get to meet interesting people from all over and go kayaking all day and party all night. DBP: Which paddlers did you look up to as role models when you were starting out in paddling? SANDRA: The biggest role model and influence in my paddling career has been my river racing coach Michael Mason. I learnt so much from him about kayaking, training, and the paddling/work/life balance. His dedication and support throughout my racing career I believe has really shaped both the paddler and person I am today. DBP: How did you find teaching in World Class academy, what kind of role did you have to play? 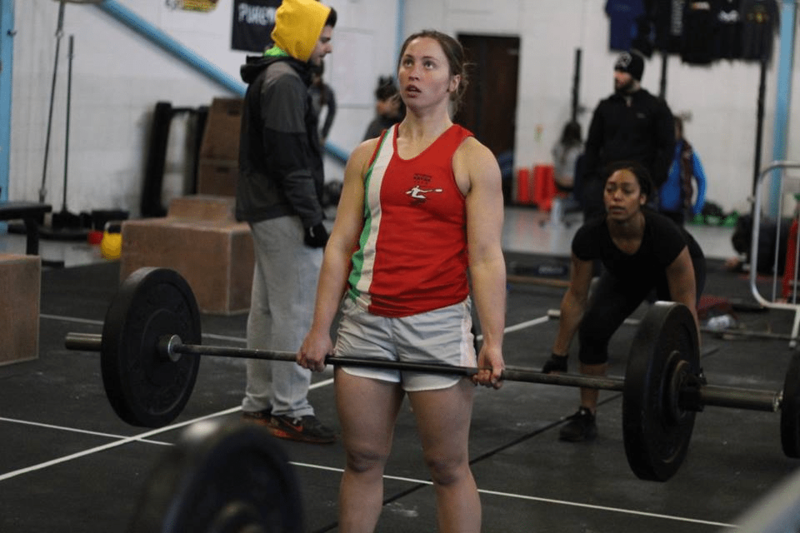 SANDRA: World Class Academy is such an awesome concept and incredibly rewarding, but it is hard work. My role was as maths/science teacher, on water coach and off-water mentor. 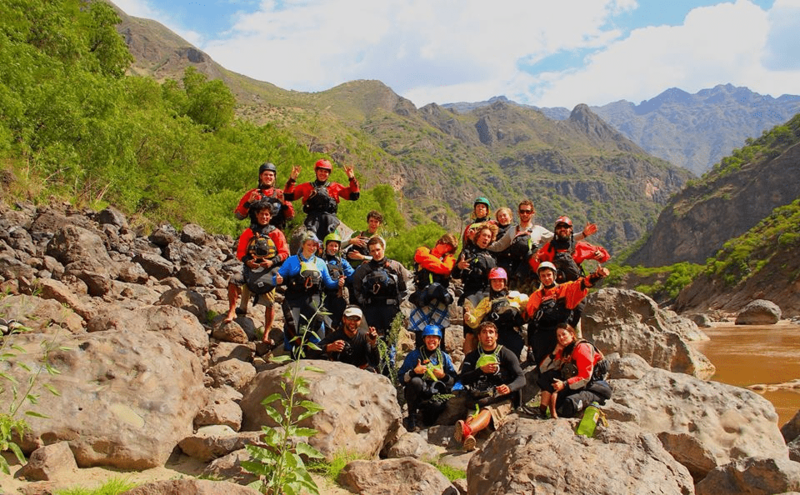 Travelling the world with a group of teenagers helps you form such a different relationship than in a traditional school environment and you share some of the best times of your lives both on and off the water. I enjoyed my time with the school immensely and am incredibly grateful for having had the opportunity to travel and paddle with such an incredible programme. DBP: Having travelled and paddled all over the world, which is your all-time favourite river to paddle on, and why? SANDRA: Such a tough question!! There are so many rivers I love for so many different reasons but I think this summer doing the Karagem-Argut multi-day in the Altai was a top experience. The setting was incredible, the whitewater was awesome and the company great as well. DBP: What kind of gear do you typically end up using on a day out on the river? SANDRA: I’ve been paddling Zet Kayaks for a while now and have gone through the Veloc (a bit too small), the Toro (a bit too big) and the Raptor which I currently have (just right). IR are doing a good job at keeping me dry in the 7 figure drytop or Shawty drysuit and a Lucky Charm deck. Also Werner Powerhouses with the small shaft as my hands are tiny and a Rocker to protect my head and a Palm Fxr to keep me afloat. DBP: Even the best crash sometimes, have you had any swims or moments that have scared you? DBP: Thanks so much for your time, and we all look forward to following along as you continue your adventures! Any last words of inspiration for the young ladies around the world who are reading this at home? SANDRA: Well I’d hope to not only inspire young ladies, but my usual advice to anyone is just to get out as much as possible on the water in as many different types of boat as you can find and never stop as long as it’s fun! So Aniol Serrasolses and Sandra Hyslop are the adidas Sickline Extreme Kayak World Champions 2016, with Sam Sutton and Nouria Newman taking silver and Dane Jackson and Martina Wegman claiming bronze.